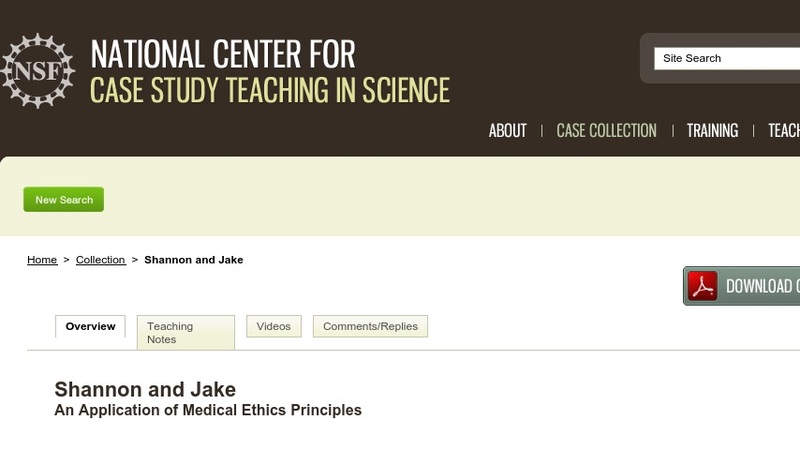 This case was developed to teach first-year medical students the basics of medical ethics. It describes a situation in which a family physician is treating a teenage patient for a sexually transmitted disease. Based on information she gives him, he is concerned not only for her health and welfare, but also for the health and welfare of others. Students read the case and discuss the choices the doctor might make using the ethical principles of autonomy, beneficence, non-maleficence, and justice. Students then develop a rationale for the physician acting according to one of the ethical principles identified, and prepare a debate for the class supporting the rationale.